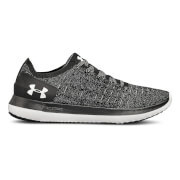 UPPER: Innovative UA SpeedForm™ technology delivers zero distraction while running / Dyneema®, the world’s strongest fiber, woven into the upper for the ultimate in durable flexibility / Seamless asymmetric zonal com¬pression slingshots your feet from heal to toe quicker than ever before / Padded tongue constructed with soft sandwich mesh materials to increase comfort and fit. 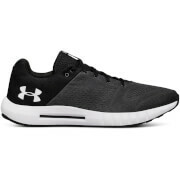 MIDSOLE: Two-piece Charged Cushioning system pairs a soft/plush layer of foam on top of a layer of dense/ harder foam for the ultimate blend of support and comfort. 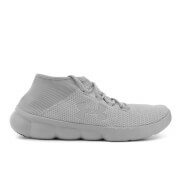 OUTSOLE: Full-length rubber outsole increases durability, traction and support with less weight.